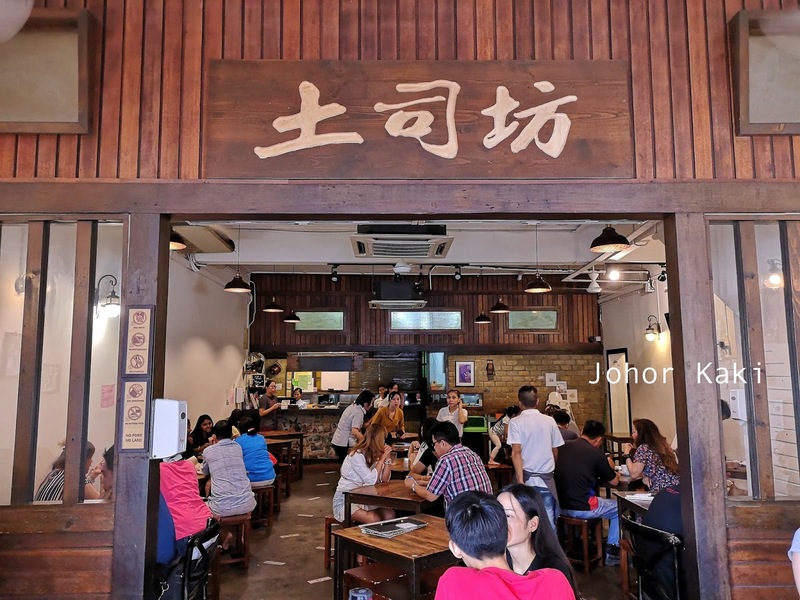 The Toast coffee shop really needs no introduction for Johor Bahru folks - it is a very popular place for traditional Nanyang coffee, toasts, eggs, and the full range of local favourites like mee siam, nasi lemak, etc. 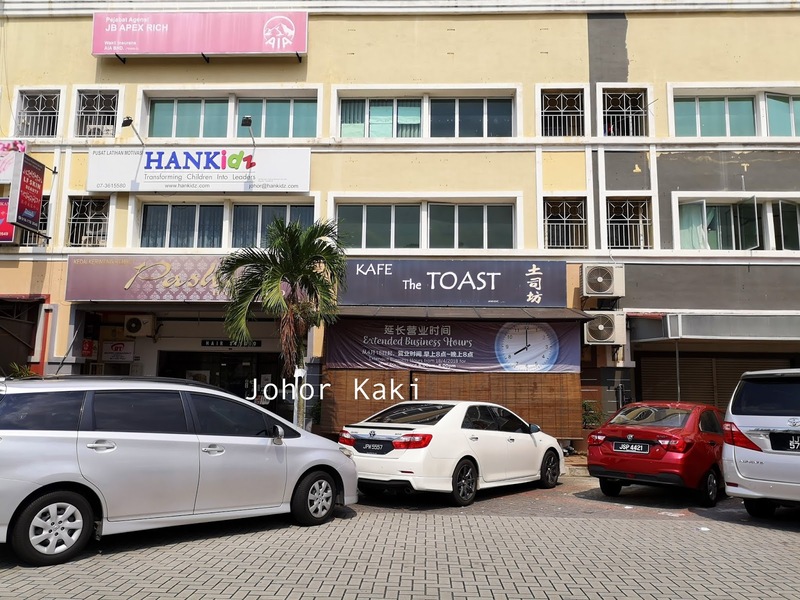 I've been to The Toast's outlets in Johor Jaya and Permas Jaya, but was first time here at the Mount Austin branch. (They have one more outlet in Taman Ungku Tun Aminah.) Our experience at Mount Austin was good, as expected of The Toast. The Toast @ Mount Austin is a simple shop lot coffee shop. It is always busy and often full house when we walked by. 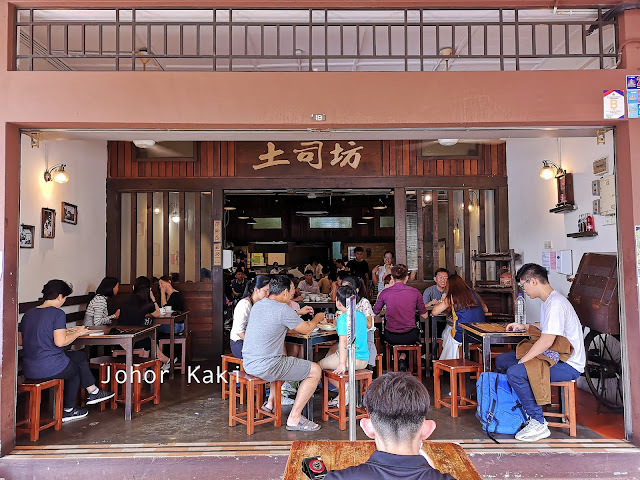 This morning, we decided to have our brunch here, one of JB's F & B legends. First things, first - the coffee. 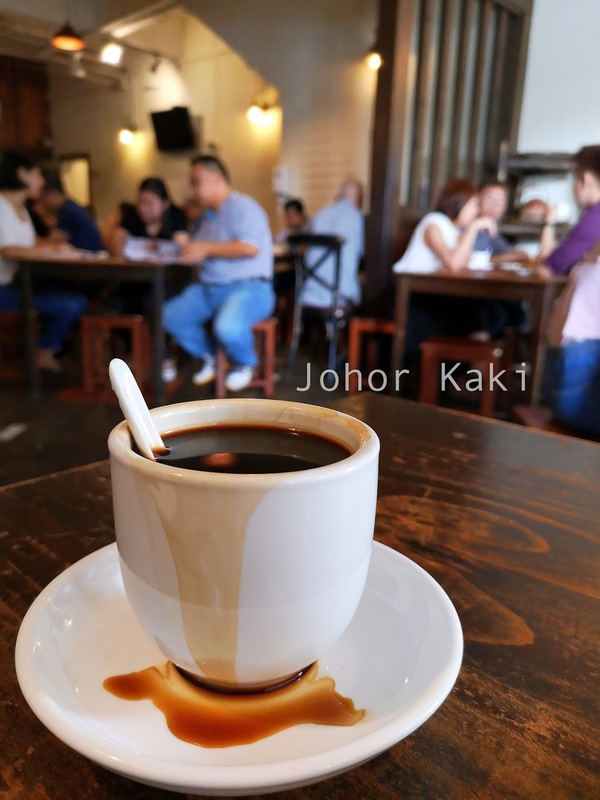 I ordered a kopi O (price RM2.40). 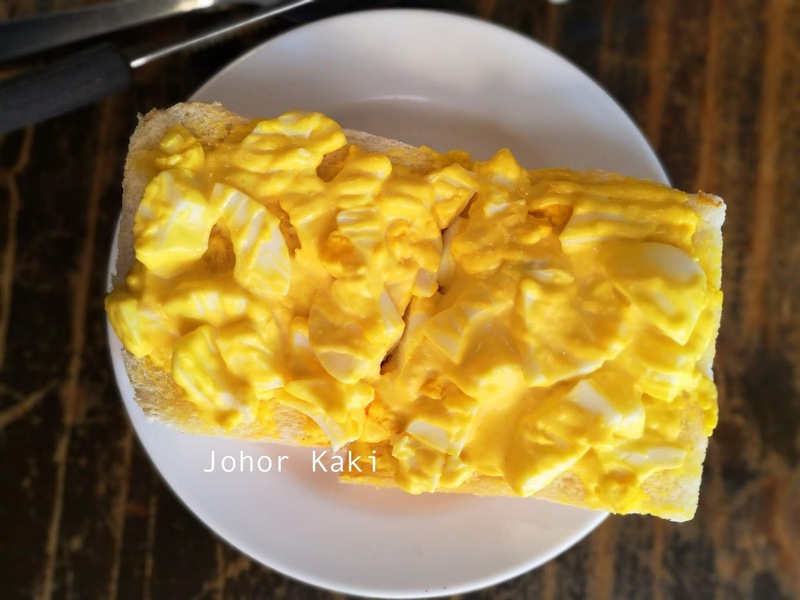 Egg Mayo Toast, The Toast's claim to fame (price RM3.70). 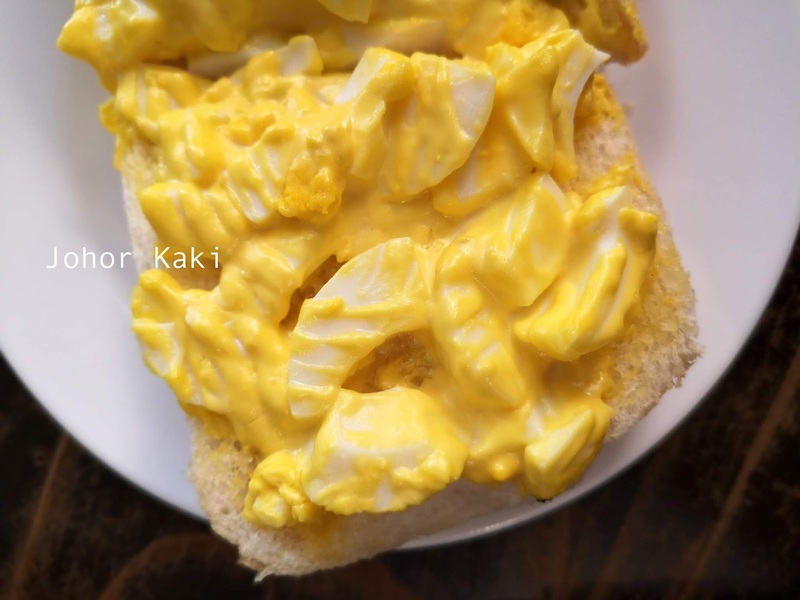 It's a slice of lightly toasted white bread smothered thick with a rich eggy creamy mayonnaise. I felt full just by looking at that rich eggy mayonnaise. The egg mayo toast tasted savoury eggy sweet. 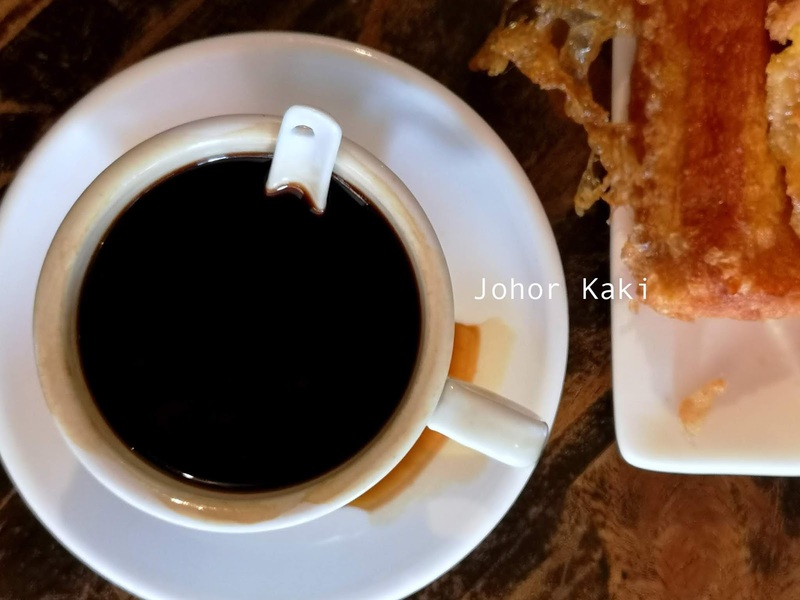 A kopi and a mayo toast could a full breakfast, especially for light eaters. 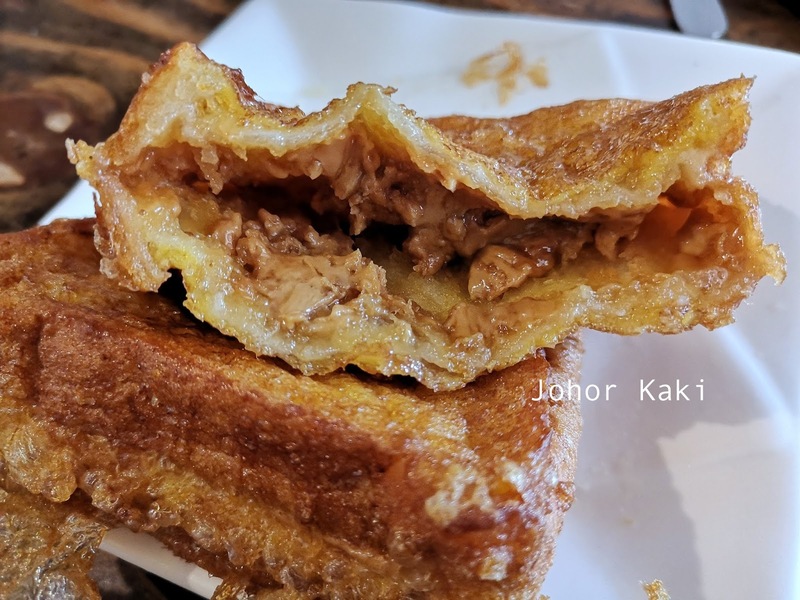 First time trying The Toast's French Toast with peanut butter (price RM5.60). The thick slice of bread was coated with beaten eggs and deep fried till the outside was golden brown. It was served with a small slice of butter on top which quickly melted on the warm toast. Crunchy type peanut butter with bits of peanut was slotted inside the French toast. 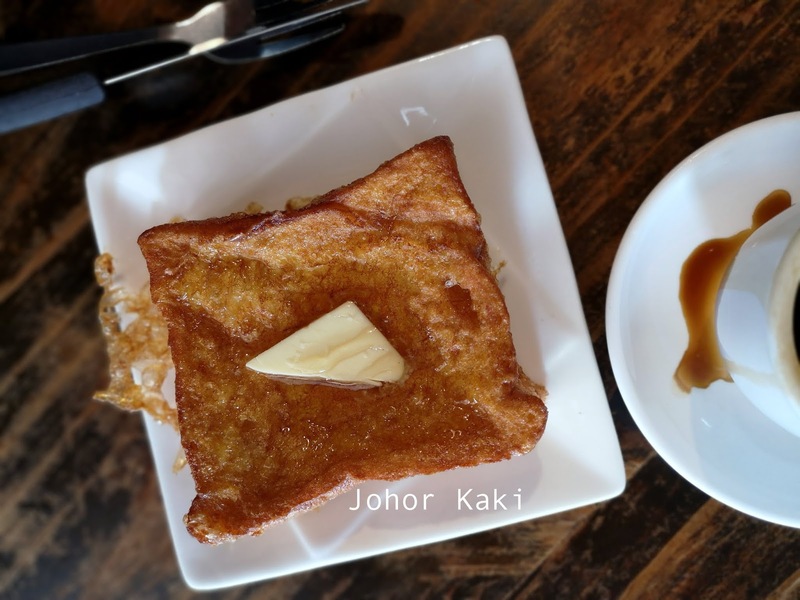 This French toast has layers of savouriness with peanuty flavours. 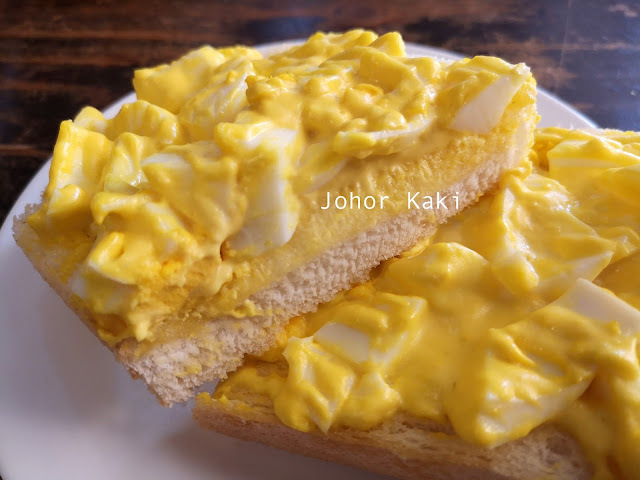 I love eggs, and I love peanut butter, but this combination was a little too gelat (rich) for me. I think I am better off with traditional French toast sans peanut butter. The ball of bee hoon which was well infused with spicy savoury spices had a nice gentle tenderness to the bite. This was really delicious. 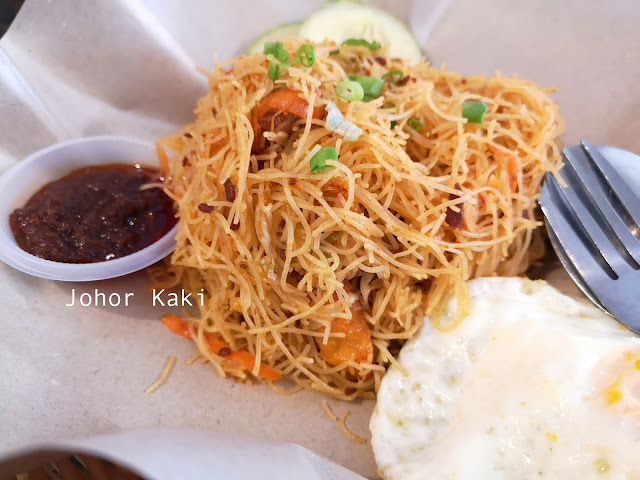 This is my favourite dish at The Toast besides their Nanyang coffee. 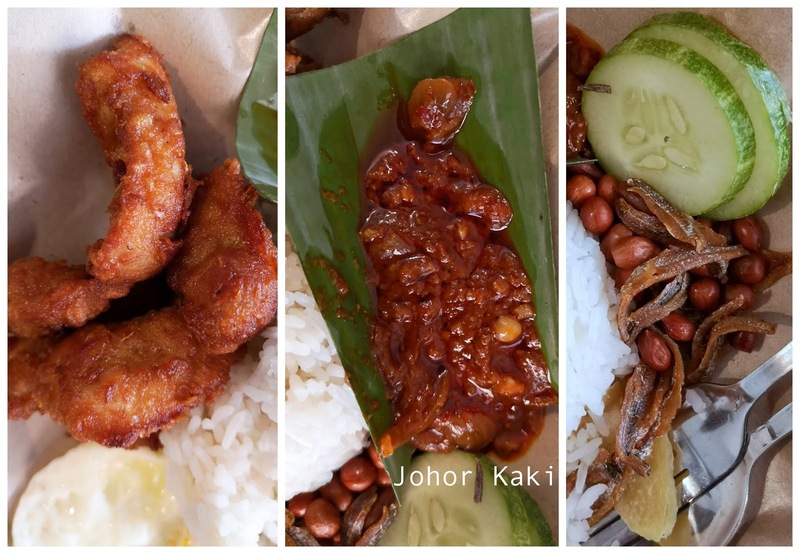 The Toast's Malaysian nasi lemak (price RM8.80). Everything was neatly arranged with the coconut milk infused rice in the middle. The sides were nicely laid out around the mound of coconut rice "like a fan like that". Going clockwise starting from the fried egg, there were fried chicken, sambal chili, cucumber slices, fried peanuts and fried anchovies. I first ate up the fried egg, then proceed systematically clockwise to taste the fried chicken. It was good - the lightly battered strips of chicken breast was fried till golden brown outside but the inside was tender and juicy. I could taste the natural chicky sweetness underlying the savouriness from the golden brown outside. 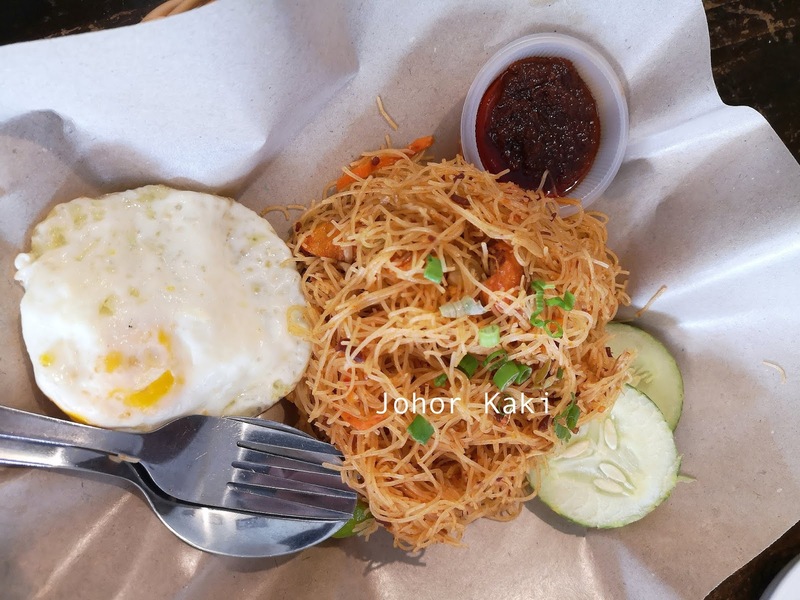 I checked out the savoury sweet slightly spicy sambal chili. I saved this sambal chili for later which I ate with the coconut rice - the last thing before wiping up the dish. Moving on, the cucumber slices, fried peanuts and fried dried anchovies provided the variations of flavours and crispy crunch to the dish. Overall, it was a nice nasi lemak. 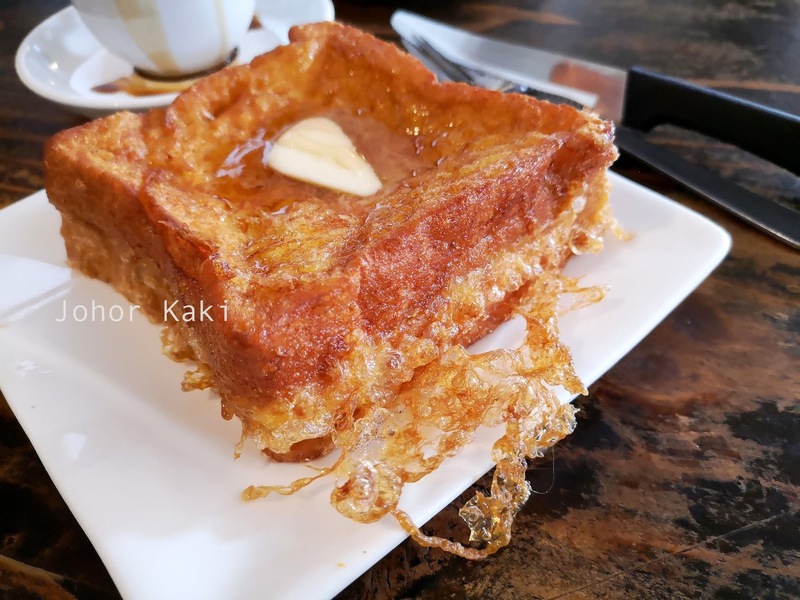 👉 The food at The Toast is nice and consistently good. Pricing is competitive and service is prompt and efficient. It's a good coffee and local delights stop that won't disappoint is likely to please. 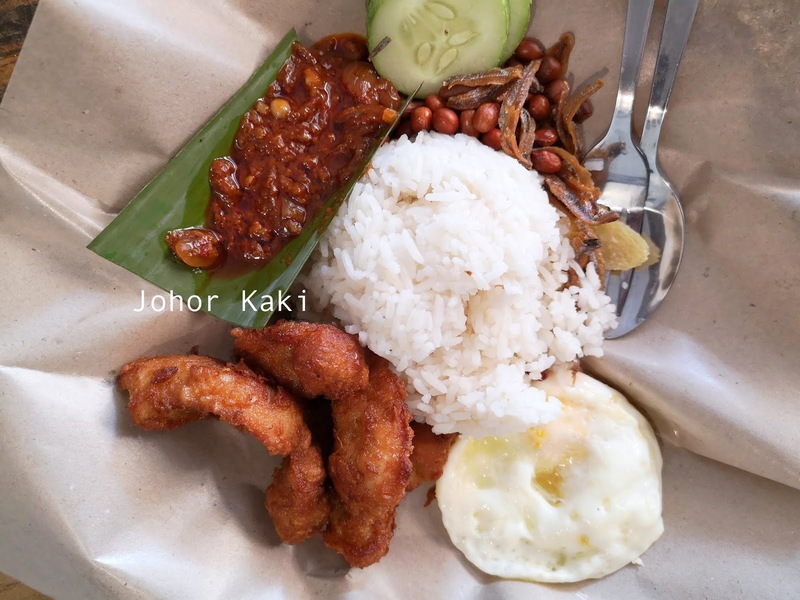 so this nasi lemak is not for malaysian to eat de..cos v neat..